Conference at Waterton Park Hotel and Walton Hall01924 257911work Conference residential venueWaterton Park Hotel, Walton Hall, offers superb conference, meeting and training facilities with a choice of seven rooms, seating from 12 to 150, as well as oodles of outdoor space for team building and adventures. The landscaped grounds, rolling parkland, golf course and walking trails are ideal for team building activity days or as somewhere just to break out and grab some fresh air before getting back to work in the conference room. We offer a variety of evening events and motivating ideas to add some fun to your conference including our famous Murder Mystery Nights and Casino Nights. 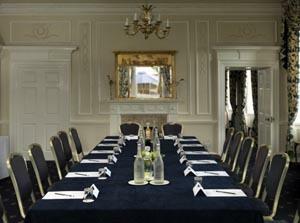 Waterton Park Hotel, Walton Hall, offers superb conference, meeting and training facilities with a choice of seven rooms, seating from 12 to 150, as well as oodles of outdoor space for team building and adventures.